A powerful story told by a gifted writer, National Public Radio’s John Burnett. Life is cheap where hope is scarce. 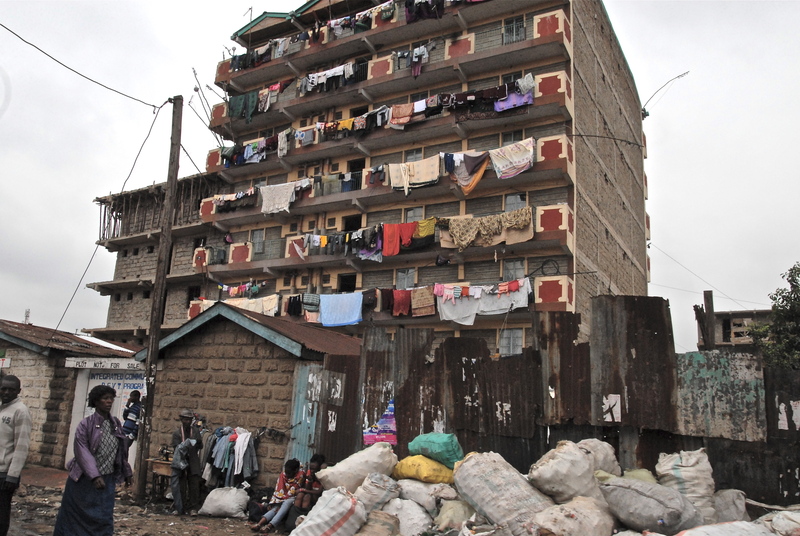 And here in Nairobi’s Huruma slum you have to look hard to find any hope. So much is discarded here; bottles, cans, tires, plastic but mostly people. 42 year-old John Kangara Mucheru knows this. He’s lived in Huruma all his life. But Mucheru looks for use in everything. The word Zakale means “re-use” in Swahili, the cultural language of Kenya. And that’s exactly what he’s done with bottles, cans, tires, plastic but mostly people. People like 28 year-old Milton Obote. Ten years ago, Milton was playing pick-up soccer, smoking marijuana and burglarizing homes. Until he met John Mucheru. While watching a Humura pick-up soccer game Milton and his friends were playing, Mucheru noticed the artistry with which Milton played the game. “Futbol (soccer) is what I eat”, says Obote. But John Mucheru didn’t like the company Obote kept. He saw something special in the teenager that everyone else had overlooked. If they even looked at all. The two started talking. John challenged Milton to do something with that artistic side. He gave the teen a piece of wire and asked him to “design something.” Obote brought back a beautifully created hand. 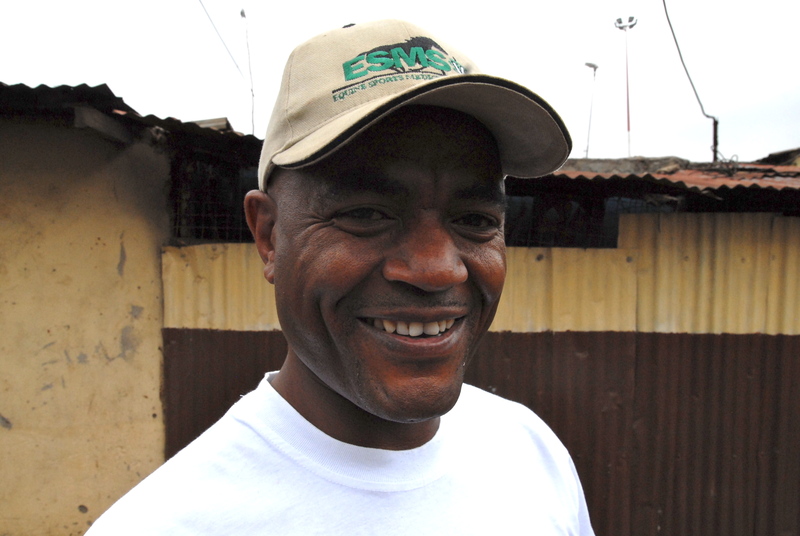 Soon, John invited Milton to work for him at Zakale Creations, based right here in Huruma. He knew Milton and didn’t like to see boys like him waste their lives. Perhaps he saw a little bit of himself. John used to be involved in gangs, petty theft, some robbery. “It wasn’t my wish”, says Mechuro. 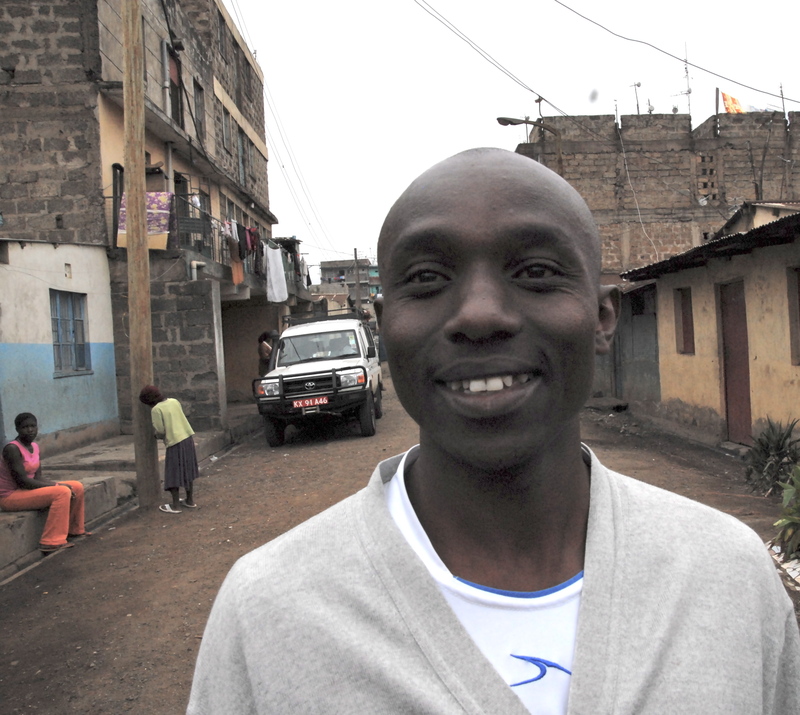 “I had no alternative.” In a place like Huruma you do anything to survive. Something happens to a person when you’re packed into a place of extreme poverty with 60,000 others. The word Huruma in Swahili (one of Kenya’s official languages) means, sympathy. Some who live here think Huruma is just another word for “madhouse”. Mucheru doesn’t remember anything good about Christmas as a child. No fond memories. “I never got a Christmas present. I was orphaned when both my parents died when I was three.” Today, John Mucheru is turning that around. 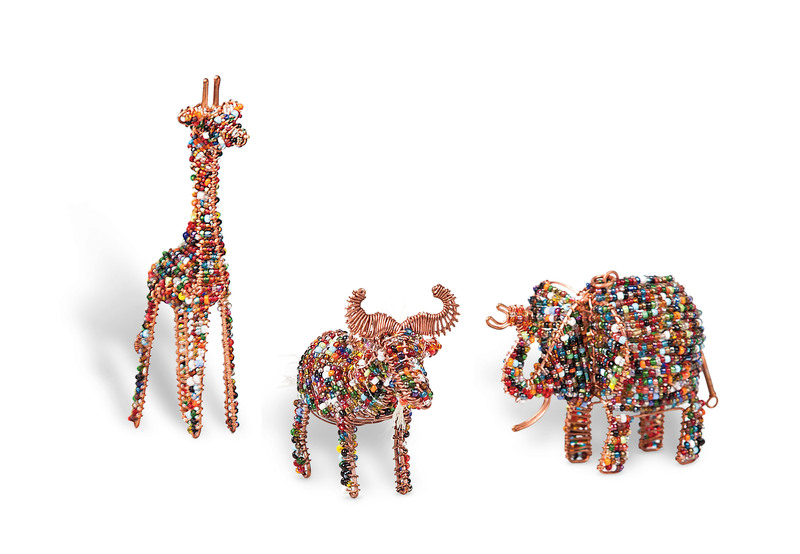 Today, the ornaments his young men and women at Zakale Creations make are sold to a company called Heavenly Treasures. That company in turn, sells them to World Vision where they are offered in the charity’s Gift Catalog. Now each Christmas, John Kangara Mucheru throws a big party for hundreds of his neighbors in Huruma. “Christmas is time for sharing what you have with those who have nothing,” says Mucheru. His young men and women welcome visitors with a ceremonial dance. They are energetic, happy and appear full of hope. And today, Milton Obote is married with a young daughter and hopeful he can land more design work. “Zakale Creations,” Mucheru says, “is about creating new life.” What better time of year to find that new life in the discarded bottles, can, tires, plastic but mostly people. Here in the maddening heart of despair, John Mucheru has found a way to deliver a tiny piece of hope. This is what a humanitarian looks like. 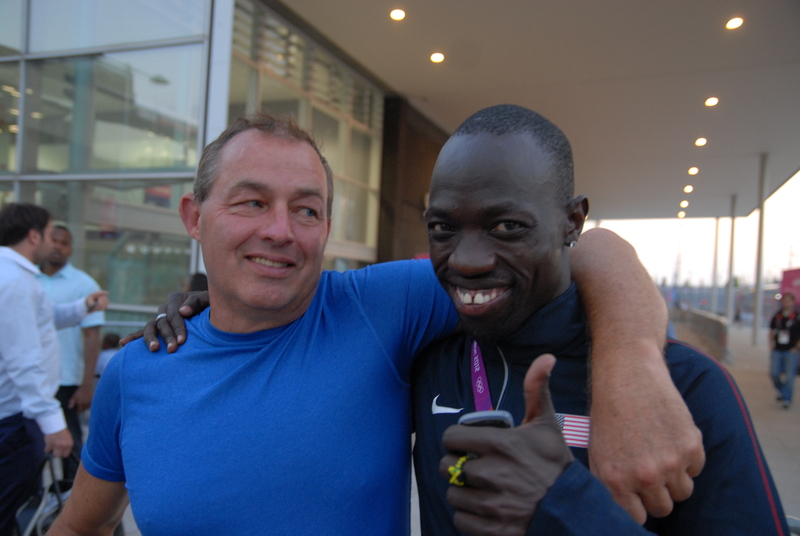 This Saturday, December 1st, former Lost Boy and U.S. Olympian Lopez Lomong will be awarded the Visa Humanitarian of the Year Award in Daytona Beach, Florida. The last time I saw Lopez was a few weeks ago in Auburn, Washington when he spoke to more than a thousand in attendance at World Vision’s Day of Prayer. Lopez was recounting all that had happened this year. 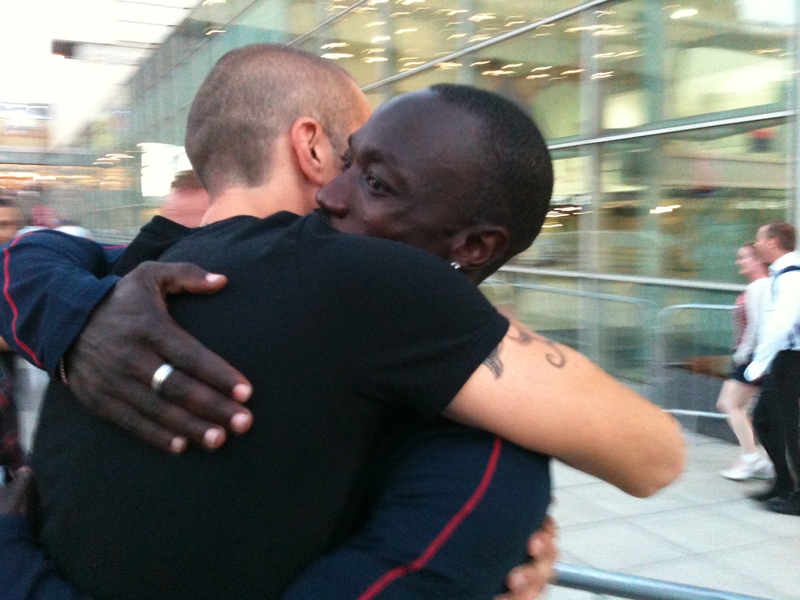 I remember one night in particular, the night before the biggest race of his life. And he was smiling. In 2001, she and Rob brought Lopez over to America from a refugee camp in Kenya. At the age of six, Lopez was abducted by Sudanese rebels and taken to a holding facility where he was prepped as a child soldier. It was determined he was too small. Chances were that he would have been left to starve to death but three fellow captives, his “angels” as he describes them, helped him escape. After three days and nights Lopez was captured by Kenyan soldiers taken to that refugee camp where he lived for ten years, until the Rogers adopted him. That’s what his family and Team World Vision friends including Josh Cox prayed for. Cox is a long-distance runner, the American record-holder in the 50K and a four time U.S. Olympic Marathon Trials qualifier. Team World Vision is a fundraising program of international Christian charity World Vision that equips individuals to raise money for World Vision projects. Lomong’s 4South Sudan is a World Vision partner committed to finding clean water, health care, education and nutrition for kids back home in South Sudan. 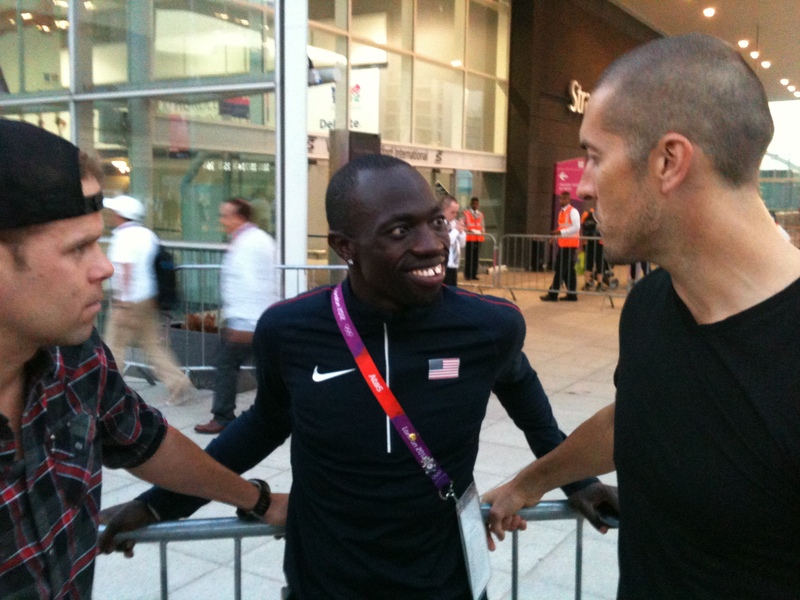 I thought about that response when I heard that Lomong had been honored as Visa’s 2012 Humanitarian of the Year. And I thought about the commitment Lomong has made to helping children back home and here in the States through his work with Team World Vision. Something tells me he will be back. But then – something tells me he’s never left. 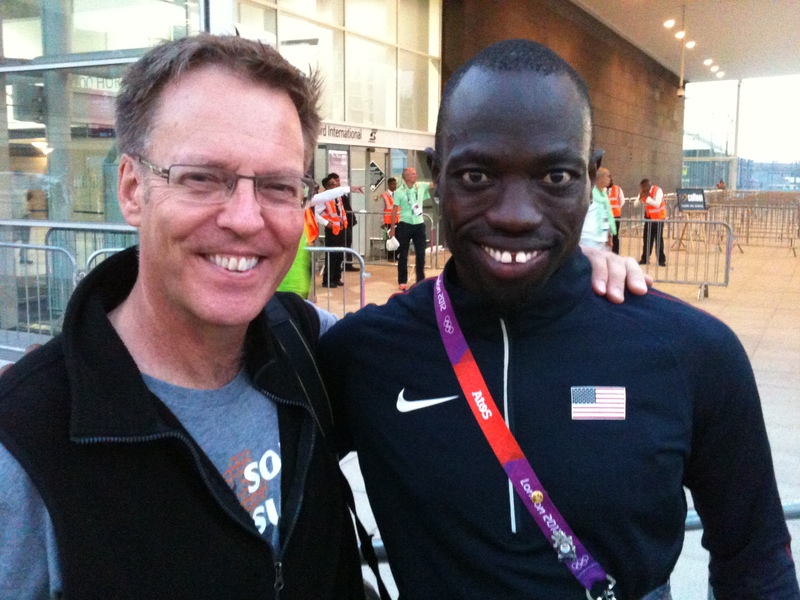 Thursday, December 6th, Lomong will travel to the Bay Area where he’ll run with at-risk youth in Oakland. That weekend, he’ll run in a half-marathon in Walnut Creek, California for Team World Vision. Stealing Video: A Pirate’s Life for Me? Johnny Depp makes it look easy, effortless …charming. In Pirates of the Caribbean, the movie star smiles through his lines with ease and grace. Captain Jack Sparrow manages to elude Her Majesty’s Navy and various evil doers on the 19th Century high seas. Captain Jack made the Pirates of the Caribbean movies a billion dollar empire. The pirate is romantic and charming. But video and audio pirates today are far less romantic as they elude authorities. And the damage they do to artists is anything but charming. Pirates take without remorse because sites like Pirate Bay and Bit Torrent make it easy. Pirates rarely if ever think about stealing. Besides, everyone does it. U2’s frontman, Bono recently wrote a column in the New York Times. “A decade’s worth of music file-sharing and swiping has made clear that the people it hurts are the creators — in this case, the young, fledgling songwriters who can’t live off ticket and T-shirt sales like the least sympathetic among us,” he wrote, listing his top 10 desires for the next decade. Monday night in COM 583 we discussed the issue and it was clear that piracy is mainly troubling to those of us over 40. Too bad. It reminds me of shoplifters I knew when I was growing up who routinely stole record albums. I’d hear all the time about the profit margins of retailers and record companies. It’s ok (the argument went) for you to rip off the record in the store because if you bought it – you were getting ripped off by greedy storeowners and a bloated record industry. Unfortunately, piracy today has many victims. It’s hard to say what may have to happen to protect their rights. But we ought to at least consider that someone had to create Pirates of The Caribbean. It all started as a Disneyland ride. Didn’t Disney have to be paid for the rights to the screenplay, the movie, the soundtrack and the DVD that Johnny Depp made famous? And when asked where he got the inspiration for Captain Jack, Johnny Depp admitted he stole liberally from the manerisms of Rolling stone guitarist Keith Richards. But producers made that right by offering Richards a supporting role as Captain Jack’s father in one of the Pirates sequels. Ammends were made. Credit was given. Richards was paid. Even today’s symbol of piracy comes with a price. Monday night, new media guru Drew Keller discussed the ideas of “Norms of Reciprocity” in the digital world. Graduate students in the Master of Communication Digital Media program on the University of Washington campus like me always take something valuable away from open and free discussions that Keller initiates. But this topic hit close to home. Simply stated it’s give, then take. And that seems to be the operative norm alive in new media today. Having an agenda is fine as long as you put others first. Sharing is the key word today. “Publish then filter” is what Clay Shirkey writes in “Here Comes Everybody.” Put it out there and see what happens. It’s the discussion that matters. Keller told us if you “do something nice for a human being” they tend to feel gratitude and that drives the desire to reciprocate. This is much like “it’s better to give than receive” motto that Christians try to practice as well. We think about it but all too often fail to practice it at Christmas. Still, it’s a good rule of thumb in today’s every-changing and technologically complex world. On Monday, I posted a blog about Lee Schneider, a new media documentary producer and blogger for the Huffington Post https://johnallenyeager.wordpress.com/2012/04/09/lee-schneider-the-goal-is-to-build-something/. I write about people like Schneider because they give back. Schneider is using his skills as a storyteller to actually help get things built. His upcoming documentary project will be targeted to community activists and architects (and you) in an effort to build consensus and hopefully … buildings, the foundation of shelter in Haiti (and perhaps domestically in a city like Detroit). Not ironically, Schneider’s project is called “Shelter”. Check it out http://docucinema.com/shelter/. It’s a journalist giving back as he builds consensus and a growing viewership. Schneider will get people to watch because he’s a gifted national storyteller with network news credentials. But his giving spirit just might get you to give. You Tube: Today’s Home Movies? They see, they feel, they shoot, they share. He was contrasting that which went on during the era of the home movie with that which goes on today in the You Tube era. Without knowing it, Strangelove was referring to the nieces of a good friend of mine. She talks about them all the time. They are three girls, aged 11, 8 and 6 and they produce home-made videos almost weekly. If they’re inspired by a a movie trailer for “Hunger Games” for example, they’ll shoot a video about it (assuming characters in the film) on an i-phone, edit separate pieces together and share it with family. Call it an “instant home movie”. You can see this kind of stuff on Facebook and You Tube every day. Thirty years ago, if you had a home movie camera and you were struck with an idea and shot it on a Super 8mm film, it was a long process. By today’s standards it moved at a glacial pace. If you don’t remember that era you may remember Steven Spielberg’s recent nostalgic thriller “Super 8”. In that movie, the main character shoots his movie on a 8mm film and has to wait almost a week for the film to be “rush” developed. That slow process (the old homogeneous patterns of traditional home movie making) effected the nature of the content. It took more time to tell the story. Back then, you had to wait. The process could often take weeks from initial idea to screening. And then you needed a projector and a screen. With the advent of the home VHS (or Beta), after you shot something you could watch the “home movie” if you sat down around the TV. It was linear. It wasn’t edited. It was family. It was archival. It was personal. Today’s home movie makers can share their work with a bigger “family” (You Tube viewers). The content doesn’t have to be linear. It can be edited. It may or may not be family. It most certainly will be archival. But I wonder, given the ubiquity and reach of You Tube – just how personal it is.